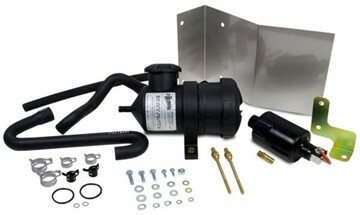 2011-2019 Ford 6.7L Powerstroke - The AMDP CCV Delete Kit eliminates the factory CCV which recirculates crankcase vapours into the intake. By removing this factory piece, no oil residue will enter the intake which ensures only clean air is entering the engine. 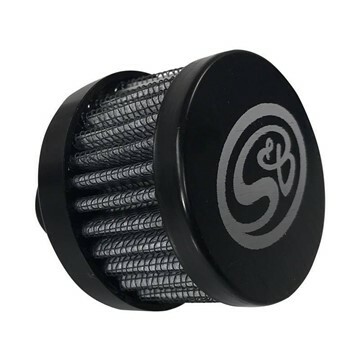 This clamp-on filter element is a direct replacement for the CCV filter from S&B Filters kit p/n# 77-1000 which fits 2007.5-2018 Dodge Cummins 6.7L trucks. 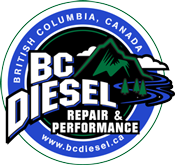 BD’s Crank Case Vent Filter Kit for 1999-2003 Ford Powerstroke 7.3L diesels reduces crankcase oil vapor that passes through the crankcase vent and contaminates the intake system. Oil Vapor residue reduces turbocharger and intercooler efficiency, and also deteriorates the silicone boots—causing them to balloon and blow off. 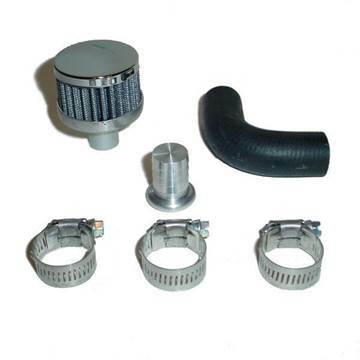 BD’s Crank Case Vent Filter Kit for 2003-2007 Ford Powerstroke 6.0L diesels reduces crankcase oil vapor that passes through the crankcase vent and contaminates the intake system. Oil Vapor residue reduces turbocharger and intercooler efficiency, and also deteriorates the silicone boots—causing them to balloon and blow off. 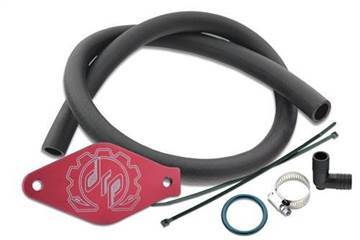 This kit re-routes the PCV system from feeding crankcase exhaust gas back into the intake, stopping the build-up of sludge in the intake tract, and also eliminates the unsightly resonator cap on the top of the motor for your 2012-2016 GMC/Chevy Duramax with the LML engine. Mishimoto's high-flow catch can for 2003-2007 Ford Powerstroke 6.0L trucks utilizes a high-capacity bottom capable of holding 5.3 fl. oz. The CNC-machined lid includes large, M27 x 2.0 inlets and outlets to let your crankcase breathe. 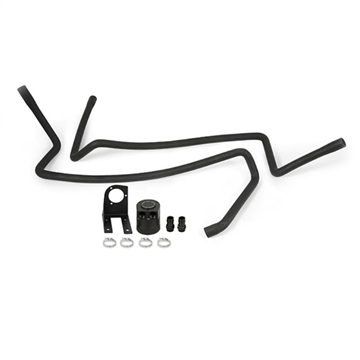 This kit re-routes the PCV system from feeding crankcase exhaust gas back into the intake, stopping the build-up of sludge in the intake tract for your 2011 GMC/Chevy Duramax with the LML engine. 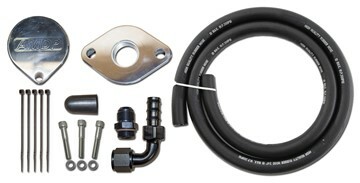 This kit re-routes the PCV system from feeding crankcase exhaust gas back into the intake, stopping the build-up of sludge in the intake tract for your 2012-2016 GMC/Chevy Duramax with the LML engine. 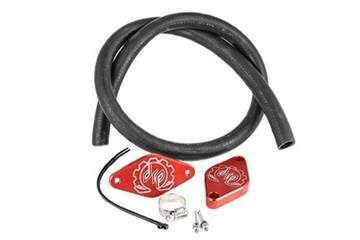 This kit re-routes the PCV system from feeding crankcase exhaust gas back into the intake, stopping the build-up of sludge in the intake tract, and also eliminates the unsightly resonator cap on the top of the motor for your 2011 GMC/Chevy Duramax with the LML engine. 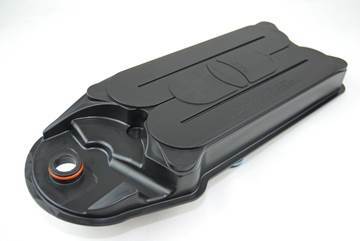 This is a direct OEM replacement crankcase vent (CCV) filter assembly made by Cummins for your 2007-2018 Dodge Cummins 6.7L. 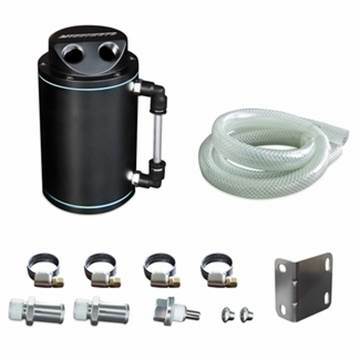 This is a replacement crankcase vent (CCV) filter assembly made by Fleetguard (Cummins Filtration) for your 2007-2018 Dodge Cummins 6.7L diesel truck.